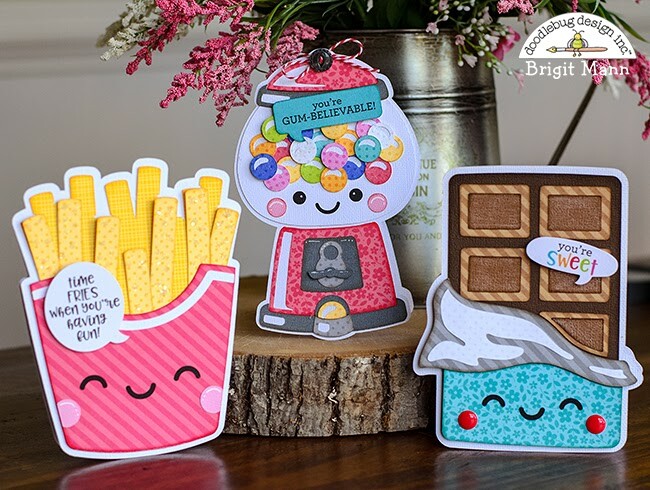 I'd have to say shaped cards are my all time favorite projects to make and Doodlebug's cut files make the most cutest ones ever! The So Much Pun cut files came out recently, you can get these at Lori Whitlock's shop now or the Silhouette Design Store when they are released. I'm such a big fan of the petite prints and I'm so happy Doodlebug came out with more patterns, I really love the two-tone color prints. 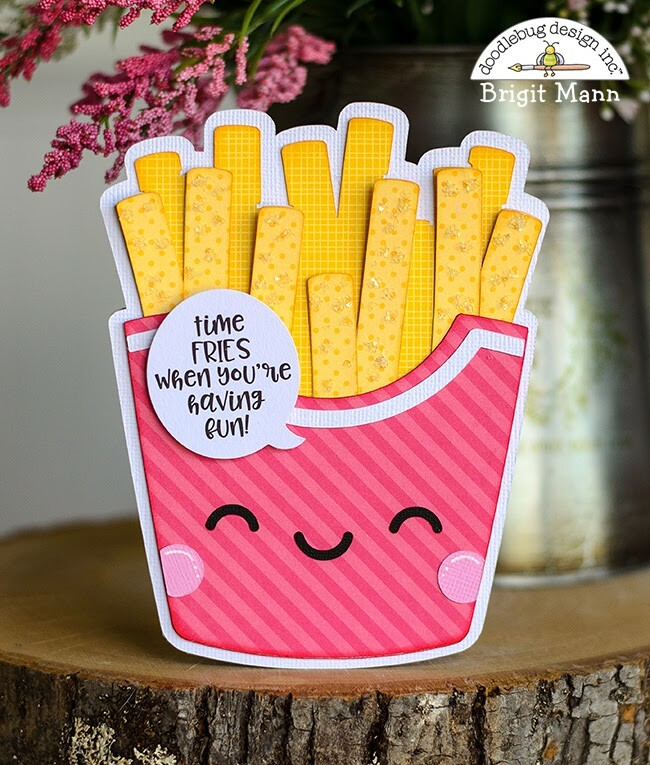 This card was super simple to put together, I used the fries cut file some lemon dot-stripe, bumblebee linen-gingham and cherry dot-stripe petite prints, strawberry, and lily white textured cardstock. I added some chunky glitter on the front fries to give it a sprinkle of salt. 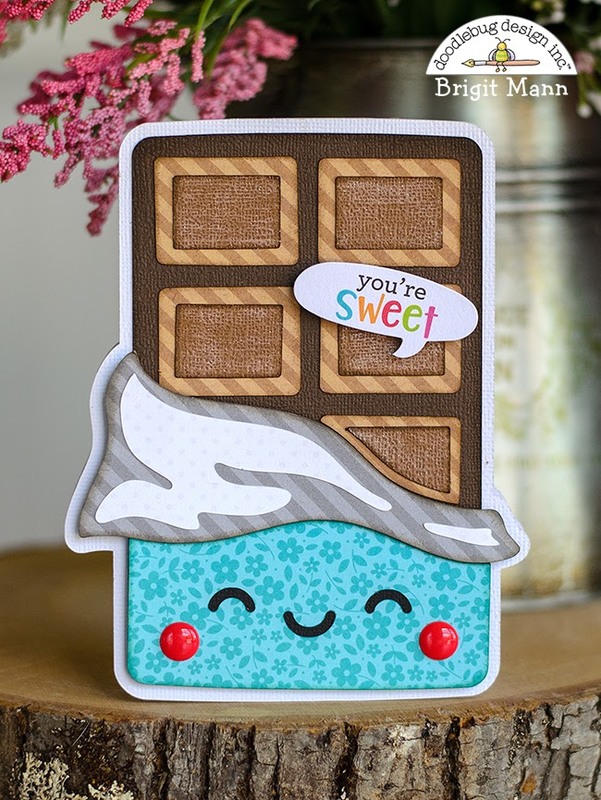 This candy bar cut file is totally adorable such a sweet card. Here I used swimming pool floral-graph, stone gray dot-stripe, kraft dot-stripe, and lily white swiss dots petite prints, some chocolate chip, lily white and beetle black textured cardstock. the sprinkles are from the so much pun assortment pack. 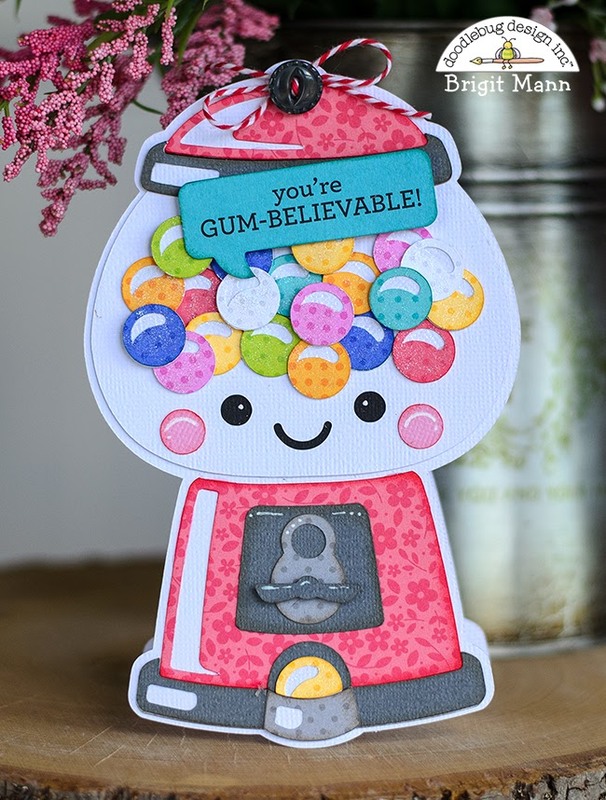 To make this shaped card I used the gumball machine cut file, this file would also make a cute shaker card. I used the cherry floral-graph, cherry dot-stripe, lemon dot-stripe, tangerine dot-stripe, swimming pool dot-stripe, blue jean dot-stripe, bubblegum dot-stripe, stone gray dot-stripe, lily white swiss dots petite prints, lily white and slate gray textured cardstock. All the speech bubbles are from the so much pun chit chat pack. You can also get all the files in one big collection here. These cards are just the sweetest!!! These are too cute for words. You always inspire me. So fun!